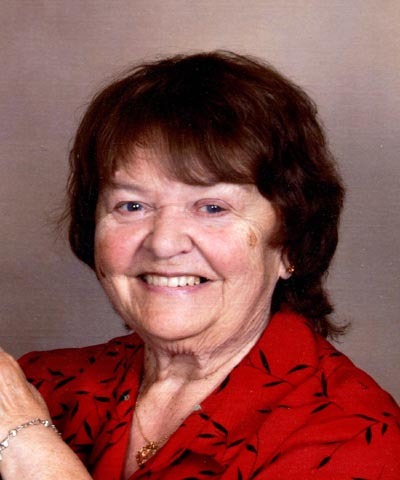 Jane Winfield, age 73, of Grand Island, passed away on Sunday, August 12, 2018 at CHI-St. Francis in Grand Island. Funeral Services will be held at 10:00 A.M., on Wednesday, August 15th at the Chapel of Higby-McQuiston Chapel in Aurora. Pastor Greg Lindenberger will officiate. Interment will be in the Chapman Cemetery. Visitation will be from 5 - 7 P.M. on Tuesday the 14th at Higby-McQuiston Mortuary in Aurora. Memorials may be made to the family to designate at a later date. Condolences may be e-mailed to the family through the mortuary website at www.higbymortuary.com. Jane Ann Winfield, the daughter of Ira D. and Betty (Green) Reisener was born in Grand Island, Nebraska on June 18, 1945 and passed away in Grand Island, Nebraska on August 12, 2018 at the age of 73. Jane grew up in the Chapman and Clarks areas. She graduated from Clarks High School in 1963. Jane married Paul Winfield on June 27, 1965. They were blessed with three sons: Scott, David and Brian. Jane thoroughly enjoyed being a stay at home mom and delighted in providing her family with her delicious home-made meals and baked goods. This past summer, Paul and Jane celebrated their 53rd Wedding Anniversary. Jane absolutely loved being a mom, grandma and great-grandma. She liked to paint and crochet and realized the beauty in music and wildlife, especially migratory and native Nebraska birds. In her younger years, she enjoyed horses. She even met her husband at a horse sale. She was preceded in death by her parents; sister, Iris Hemmingson and great-grandson, Grant Winfield. Those left to cherish her memory are her husband, Paul Winfield of Grand Island; three sons, Scott (Crystal) Winfield of Wood River, David (Suzanne) Winfield of Fort Myers, Florida and Brian (Victoria) Winfield of Doniphan; 13 grandchildren, Brenten (Andrea) Winfield, Jennifer (Aaron) Beed, Amanda (Paul) Lopez, Chelsea (Tyler) Perez, Cody Streit, Stephanie (Kieran) Muir, Levi Streit, Natasha Winfield, Aubrey (Dillon) Brown, Eric Winfield, David Winfield, Jr., JoHannah Winfield and Harrison Winfield; 9 great-grandchildren and many more friends and family members.